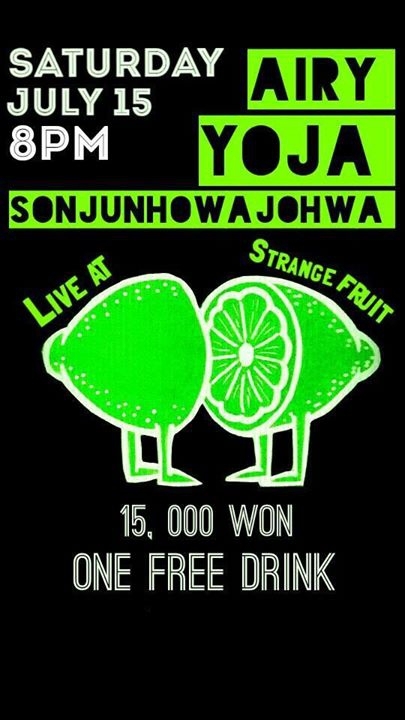 We will be playing a show at Strange Fruit Seoul Saturday July, 15th starting at 8pm. It is a great music venue located in Hongdae! Come start your weekend off strong with music from Airy 애리, YOJA 요자, and 손준호와조화. Hope you can make it for some beers and great live music. There will be a 15,000원 cover with 1 free drink included. Also, there will be albums for sale for 10,000원. If you like the poster then give the event a share.